(ALEXANDRIA, Va. – Dec. 21, 2017) Are you a student with innovative ideas that might solve parking and transportation challenges? Here’s your chance to showcase your talent in a student competition sponsored by the International Parking Institute, the world’s largest association of parking professionals. 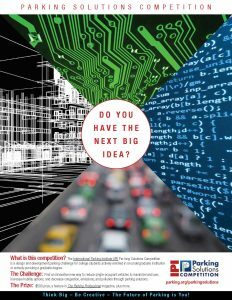 IPI invites college students, working either independently or in multi-disciplinary teams, to enter its inaugural Parking Solutions Competition, a design and development challenge based on real-world scenarios. The world’s largest parking organization seeks to tap bright, young minds in hopes of discovering the Next Big Idea in parking. Up to four finalists will be selected, based on creativity, innovation, realism, applicability, scalability, overall presentation, and ability to benchmark success and demonstrate return on investment. The deadline for submissions is February 15, 2017. More information about registering can be found at www.parking.org/parkingsolutions. 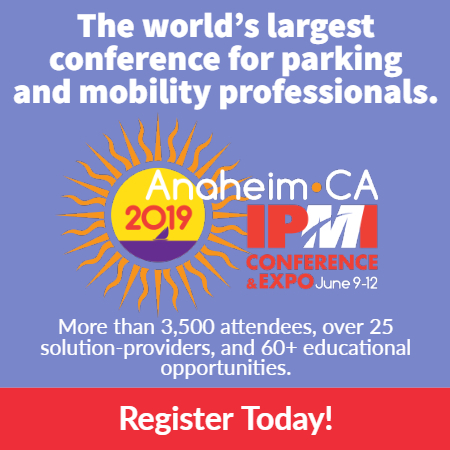 The Grand Prize winner will receive $500 and be featured in IPI’s award-winning magazine, The Parking Professional, as well as traditional and social media. Could entering this competition be your ticket to success? CEO Wen Sang, attributes the success of his company SMARKING to winning a similar IPI competition in 2015 while working on his PH.D.